In the animal world, there are many histories of the most amazing and touching friendship. We have already heard about friendships between a squirrel and chanterelles, seals and fish. But the best and most dedicated friends in the world are dogs. It seems that this is the main feature of their nature. 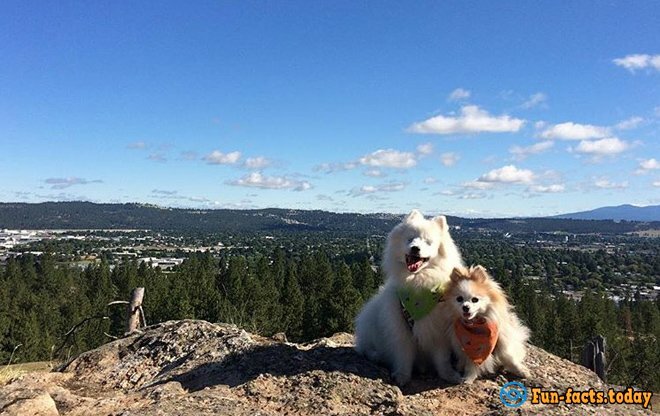 Recently, the Internet spread around the story of two unusual Spitz - Hoshi and Zen. 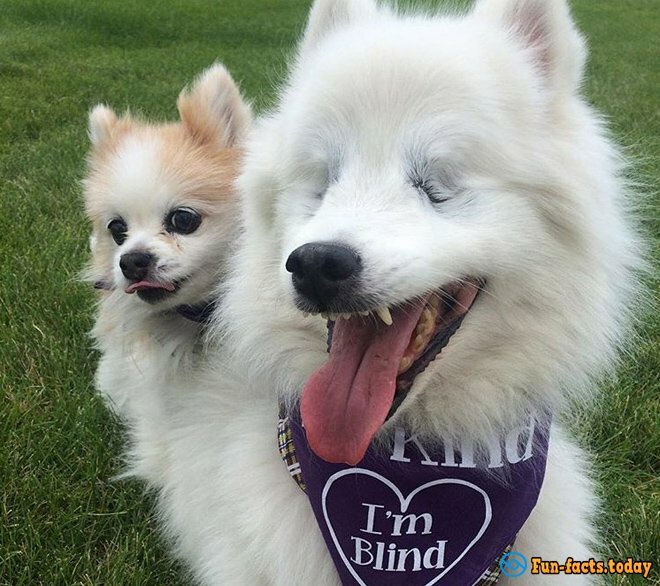 "Husky" Hoshi lost his eyesight at the age of 11 years. 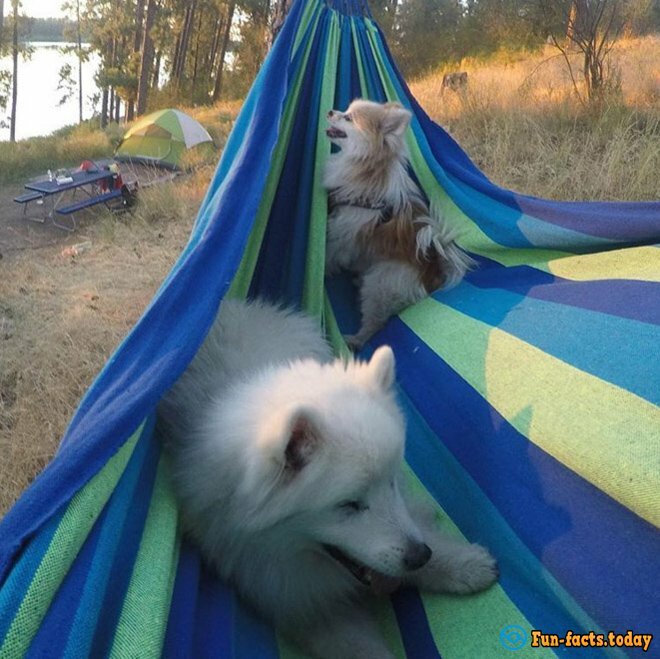 And who knows what would have happened, if he has not met a little dog named Zen. 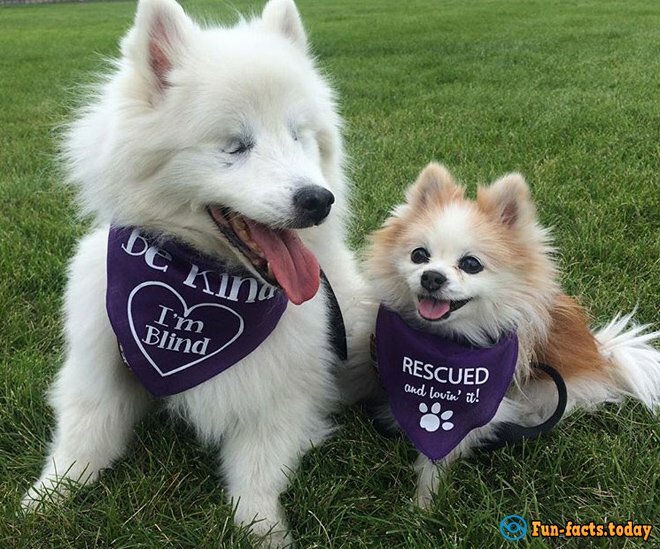 Hoshi owner decided to take a Pomeranian puppy from a shelter a few months before Hoshi has become blind. 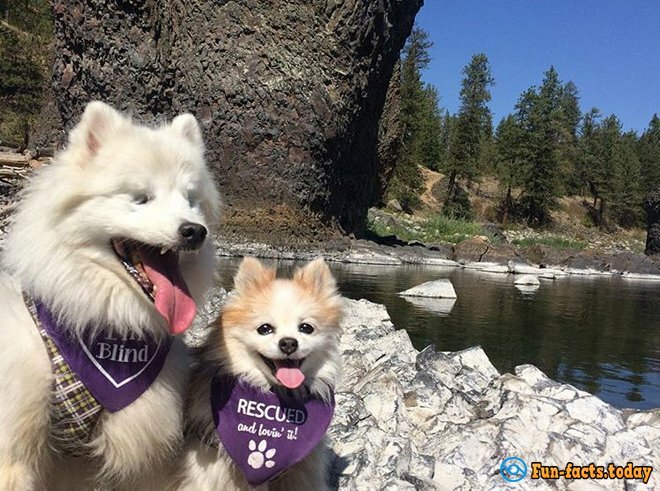 And the little dog has become the main friend and assistant of an adult dog. Now they are inseparable. And they are walking together: the owners simply fasten them with a leash. Dogs also have their account on Instagram with nearly 10 million followers. 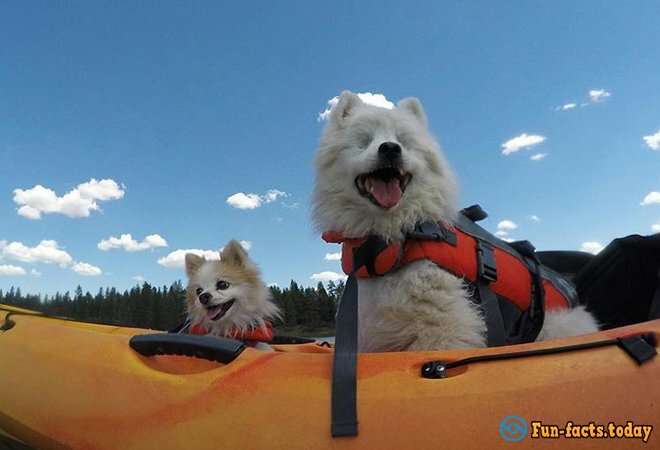 Well, this is an inspiring and amazing story of friendship!